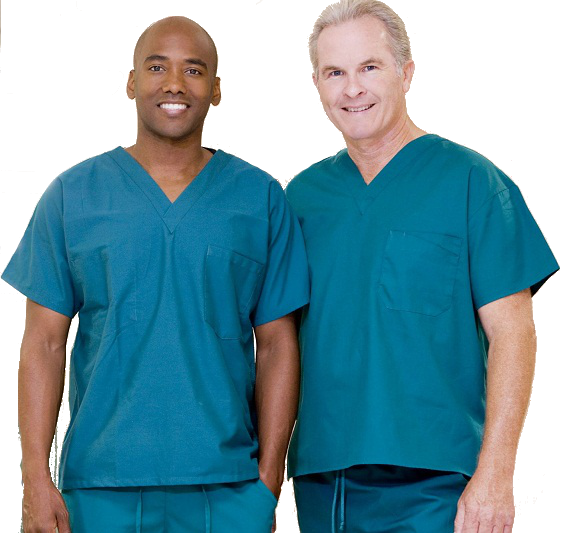 Why use a professional inventory service for your hospital’s clinical inventory supplies? · Professional hospital inventory services utilize special skill sets which are developed over a consistent series of hospital inventories. These skill sets are not learned by a single annual event, but rather because of repetitive activities weekly/monthly throughout the year. · The leaders of a professional hospital inventory service have accumulated experiences which allow for error capturing and the knowledge base to insure all goes well. 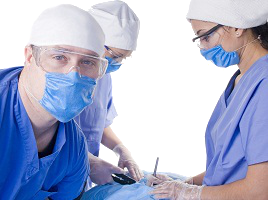 These hospital inventory leaders have experienced many different scenarios, problems and unique requests giving them a unique perspective which most people, including hospital staff, do not possess. · Professional hospital inventory services free up your resources which in turn gives your hospital more time and resources to increase patient care. · Utilizing a professional hospital inventory service saves overtime costs, regular payroll and the cost of training internal staff for a singular event. This is the major reason if you ask hospitals why they want to outsource. · Professional hospital inventory services spend the time and money to develop and enhance tools specific to inventory and the uniqueness of the hospital environment. · As your hospital’s focus is on delivering the best care to your patients, the focus of professional hospital inventory services should be on their own skills, technologies, software, people, and systems. Why engage BIG Inventory’s professional hospital inventory service? · BIG Inventory chooses to utilize fewer personnel who select hospital inventory as their career rather than using large numbers of people from temp services or for a single job. This decision allows us to create higher levels of productivity while insuring the highest level of overall accuracy. · BIG Inventory chooses to work diligently on your files weeks in advance of your scheduled hospital inventory to remove/reduce duplicates, manufacturer naming errors and UOM issues. Once this data is loaded into our system we use it to validate each and every entry er capture. This assures accuracy and relevant data. We even apply information to items which failed to appear on your Item Master. · BIG Inventory utilizes laptops instead of handhelds because it is not possible to capture all relevant data on ALL items including items which fail to appear on your hospital item master nor is it efficient to try. So instead of trying and spending weeks on the final reports, we expend the time and processes necessary to capture all relevant data at the point of entry allowing us to have final reports in 3-5 business days. o Premium hospital inventory services which perform some type of validation at the point of capture and deliver the final reports within a week or so. Unfortunately, many times these premium hospital inventory services also charge a premium, many times at a flat rate. Although they argue flat rates make it easier to budget and plan, the premium hospital inventory services must err on the high side of inventory levels in order to insure their profit margins. Additionally, there is no allowances if your inventory levels are significantly less than the premium hospital inventory service projected. o Discount hospital inventory services which do little if any validation and deliver final reports in 30-90 days. Discount hospital inventory services deliver less and some even advertise “non-specific” valuations (no real supporting data at an item level) in order to keep their prices low. Because of our efficiencies gained through our investments in software, processes and personnel we are able to keep our rates extremely low like the discount hospital inventory services. Yet, we match and surpass the service levels, technology, software and personnel of the premium hospital inventory services. We have many services which are tremendously valuable to you and your hospital beyond the physical inventory. Services like Best Price Check which compares your hospital’s item master prices against hospitals of the same size, capacities and GPO structures from all over the United States allowing you to compare where you stand and how effective your vendors, GPOs and distributors are at delivering the proper pricing. BIG Inventory, Inc. sprang from Electronic Inventory Systems (EIS) which was founded in 1985. EIS served retailers throughout the United States helping them acclimate from financial inventories to UPC based inventories. Since 2007, the management of EIS became involved in hospital inventories, finding a tremendous unfulfilled need and eventually committing 100 percent of its resources to hospital inventories. They developed a unique system called BERTHA (Bringing Employees, Resources and Technology to Hospital Audits) and named the company BIG Inventory, Inc. (BERTHA Implementation Group). 30 days prior to the start of your hospital physical inventory BIG works with you and your team to prepare and the support continues up to 30 days after your BIG Event. As part of the preparation process we hold a Web-Conference so your hospital staff understands everyone's role in your upcoming BIG Event. We appreciate the unique nature of the hospital environment and work quietly and unobtrusively--always keeping in mind a Patient First philosophy! Once we arrive our BIG Project Manager will coordinate all activities to make your hospital inventory smooth and efficient, allowing your staff to focus on what they do best.